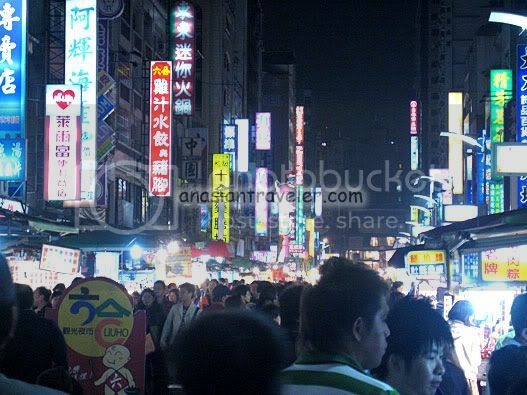 "Gastronomic" is the perfect word to describe in the busy pedestrian streets of Liuho Tourist Night Market. 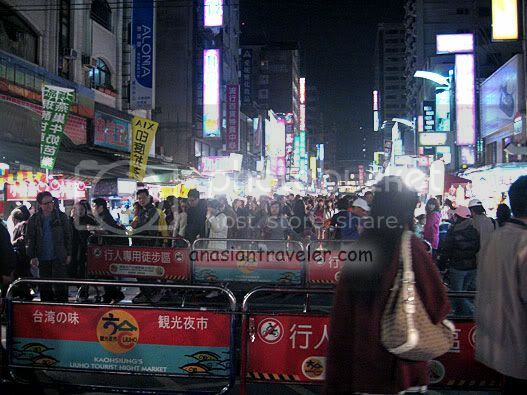 It is one of the very popular nightspots in Kaohsiung amongst locals and tourists. No wonder, when we arrived at the market, it was action-packed and crowded. 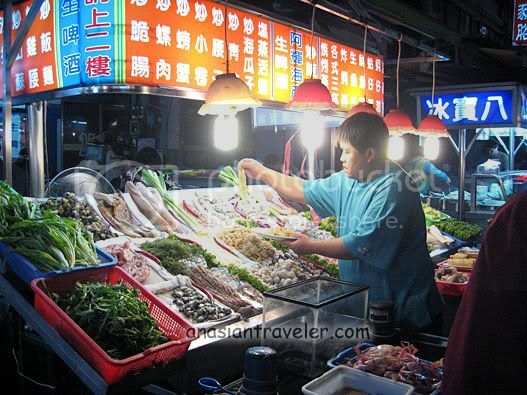 Unlike most other night markets in Asia, about 70 to 80% of Liuho's offering is FOOD. I was completely overwhelmed by the amazing diversity of dishes. 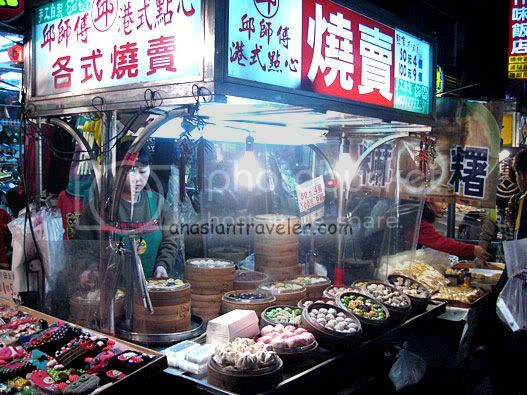 Diners get a taste of authentic and unique Taiwanese cuisine ranging from fresh seafood galore, noodles, shaved ice, dumplings, congee and other local flavor snacks such as papaya milk and rice tube pudding. We also stumbled upon one stall highlighting the notorious stinky tofu. Of course, hb could never pass up the opportunity. 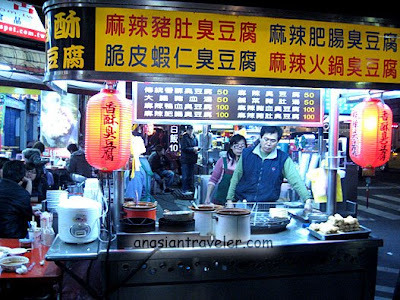 Indeed, Liuho Tourist Night Market is the best place in Kaohsiung, Taiwan where you can get a variety of cheap delicious meal that won't compromise your wallet. Liuho is located at 2nd Road and Jhongshan intersection (a ten minute walk from railway station). It is open at 6:00 pm 'till 2:00 am. 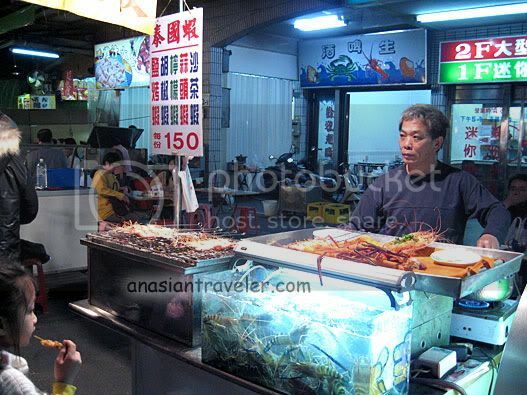 Oh, I miss Taipei's Night Markets! We've lived in there for a year but did not get to go out of Taipei. The Husband used to managed 101. We live downtown but I love going to Shi Lin, the Snake something and the small one near 101.
wow. the night market looks so much more happening than in malaysia!! I've got to remember the places you blogged about the next time I visit Taiwan. 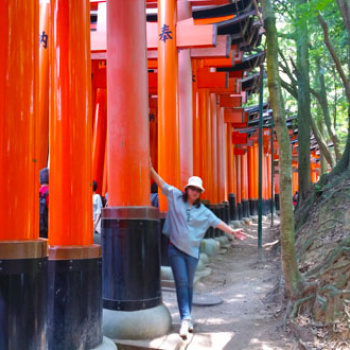 I've been to Taipeh twice but other than the obligatory tourist "must see" I've really not seen much of the island. my friends just came bck frm Taiwan. their taste totally different from ours. soups were too plain more like plain water. food were more to sweetness than salty flavor. sometime the taste was too light. ironically, desserts were not sweet at all. This place is really crowded. Such a nice place to hunt for cheap food. Too bad, they didn't like the food. Perhaps some foods are an acquired taste that first-timers might not appreciate it. Taste really is subjective. Thank you for the awards. 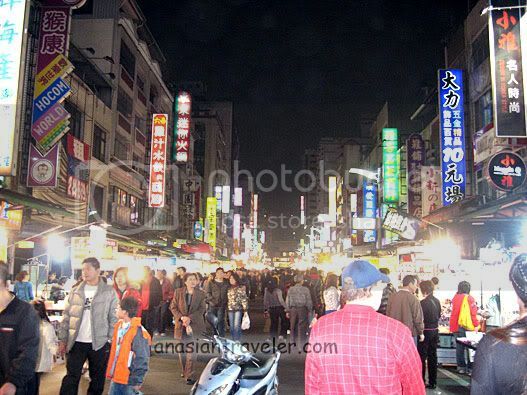 Oh beautiful photos of the night market in Taiwan. I love visiting night market and get eat and shop just like the locals. 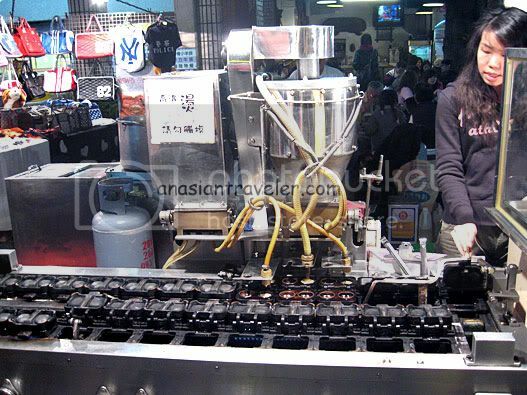 is that a small stall with advance pastry making machine? sounds interesting!